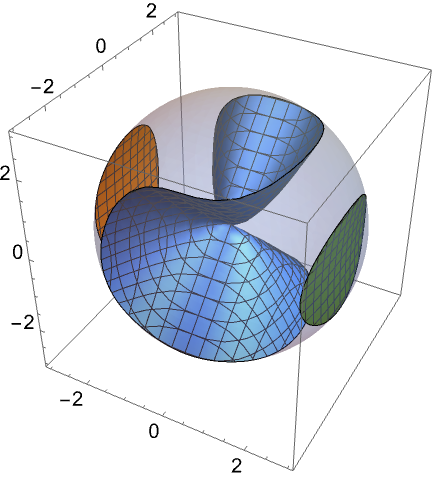 produces a three-dimensional contour plot of f as a function of x, y, and z.
plots the contour surface for which . The contour surfaces plotted by ContourPlot3D can contain disconnected parts. By default, ContourPlot3D shows each contour level as an opaque white surface, with normals pointing outward. 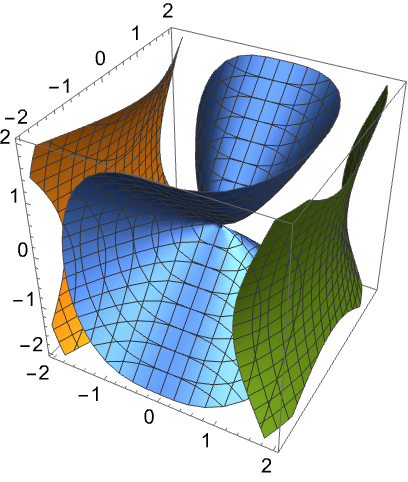 ContourPlot3D treats the variables x, y, and z as local, effectively using Block. ContourPlot3D has attribute HoldAll and evaluates and only after assigning specific numerical values to x, y, and z. In some cases, it may be more efficient to use Evaluate to evaluate and symbolically before specific numerical values are assigned to x, y, and z. Nothing is plotted in any regions where evaluates to None. ContourPlot3D initially evaluates at a 3D grid of equally spaced sample points specified by PlotPoints. Then it uses an adaptive algorithm to subdivide at most MaxRecursion times to generate smooth contours. You should realize that since it uses only a finite number of sample points, it is possible for ContourPlot3D to miss features of your functions. To check your results, you should try increasing the settings for PlotPoints and MaxRecursion. 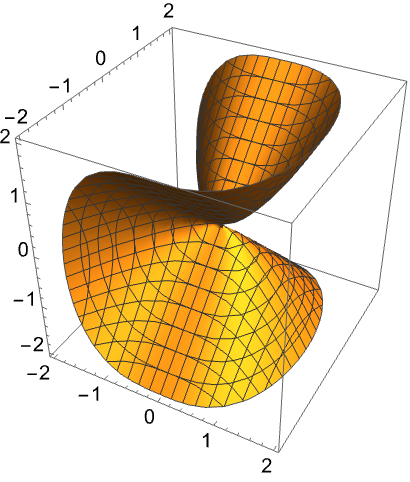 The arguments supplied to functions in MeshFunctions and RegionFunction are x, y, z, . Functions in ColorFunction and TextureCoordinateFunction are by default supplied with scaled versions of these arguments.